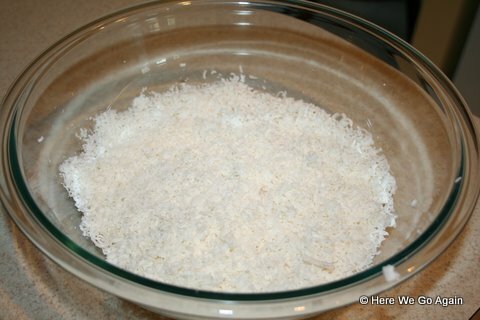 Here is how to make your own homemade laundry detergent, if you are so motivated to make your own laundry detergent. 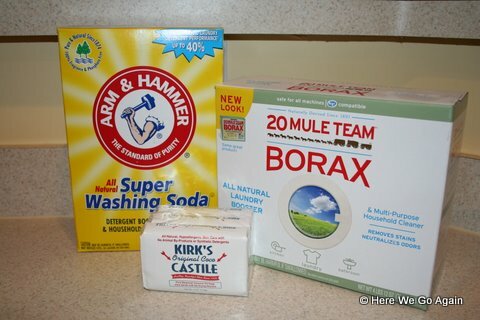 First gather your ingredients.Â You need bar castile soap (I like unscented), borax, and washing soda.Â I am able to get all these things at my local grocery store and/or Walmart. 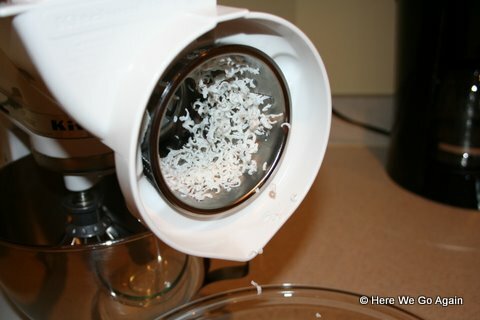 Do not eat the grated soap.Â It is not cheese. 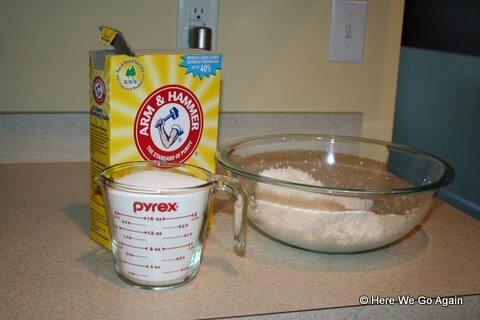 Measure out about three cups of washing soda. 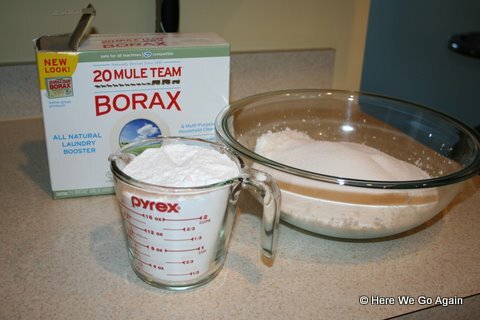 Now measure out about three cups of borax.Â I use approximately equal amounts of borax and washing soda, but you can experiment based on your water type. Use a spoon and mix them all up. 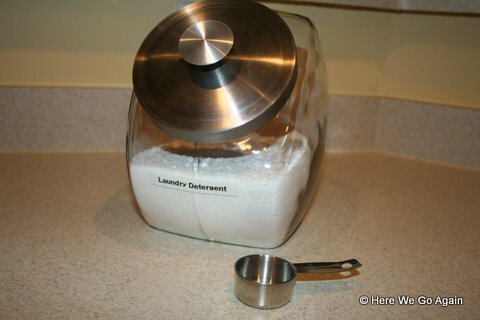 Store the detergent in a container with a lid.Â You can use any container (actually, I used to use a ziploc bag), but I love this glass container that I got at Walmart for less than $10.Â (Six dollars?Â Eight dollars?Â I don’t remember anymore. )Â I also got this stainless steel coffee scoop there for a few dollars. 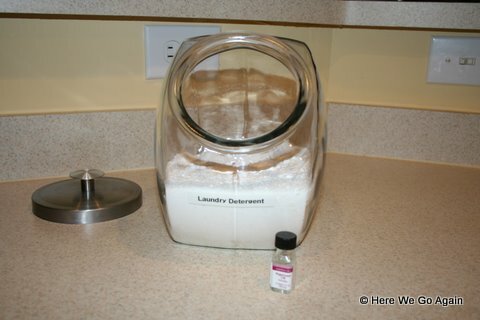 If you’d like, you can scent your detergent with essential oil.Â I, of course, used peppermint.Â It takes about ten to twenty drops and you should leave it covered for twenty-four hours for the scent to fully permeate. 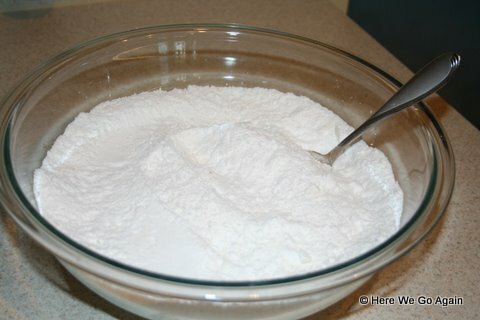 You will have to experiment to find out how much detergent you need for your water hardness.Â I have very soft water, so I use about half a scoop (which is about a tablespoon) for a regular load in my HE washer.Â This batch of detergent lasted me about five months.